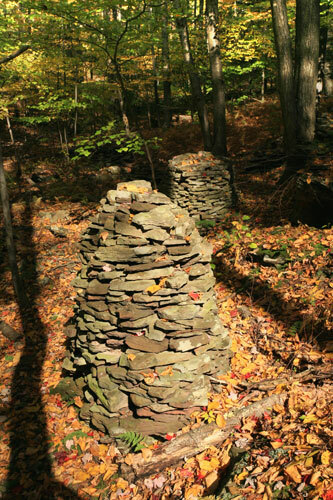 Simply explained, a rock cairn can be described as a "conical heap of stones built as a monument or landmark". 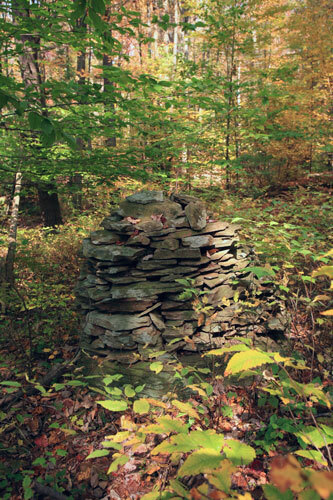 But a monument to what? 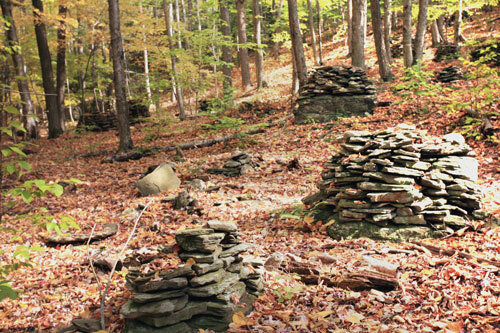 A landmark to where? 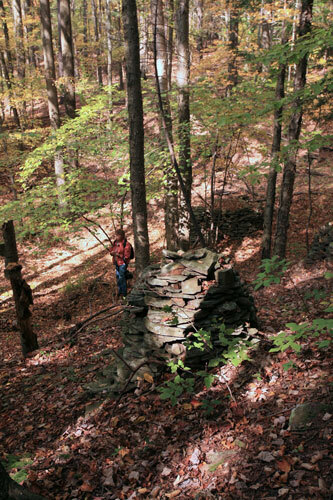 Speculating the answers to these questions tends to promote only more questions. 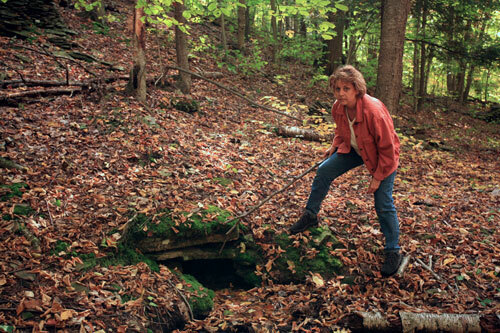 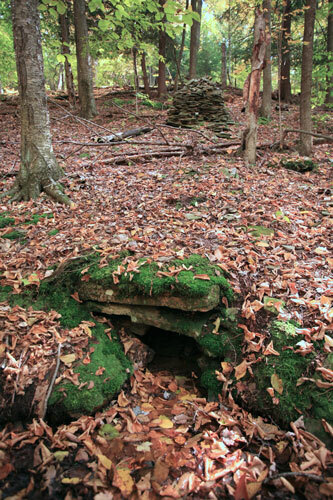 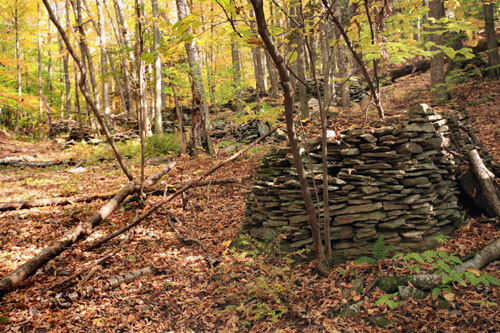 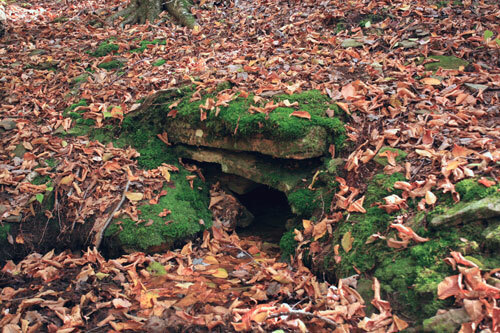 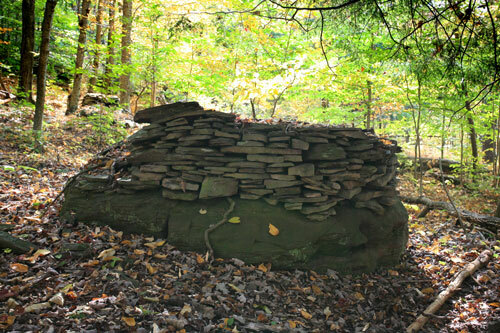 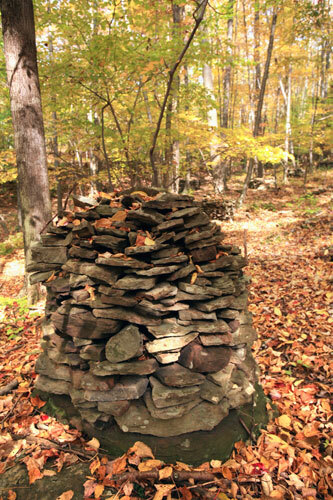 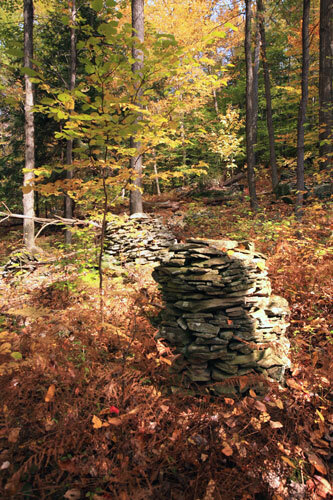 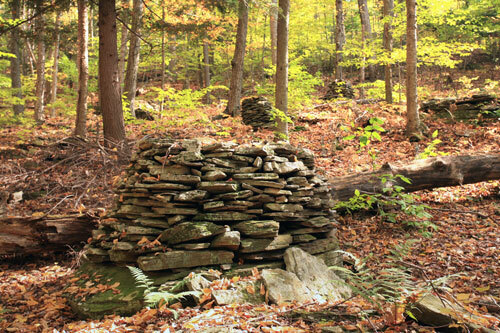 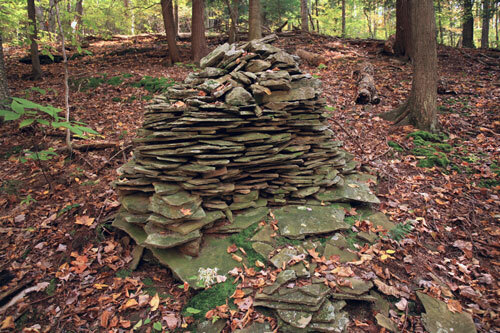 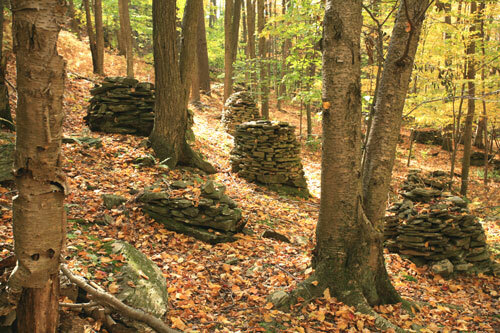 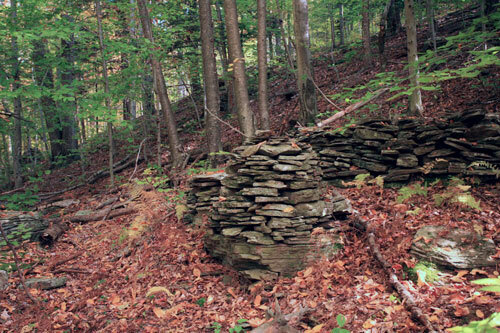 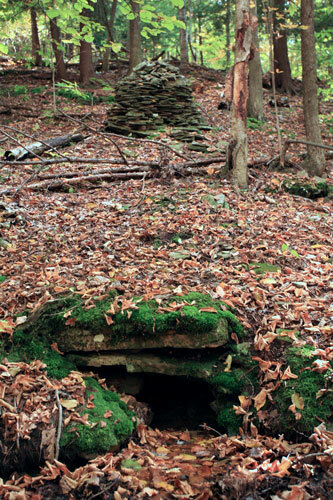 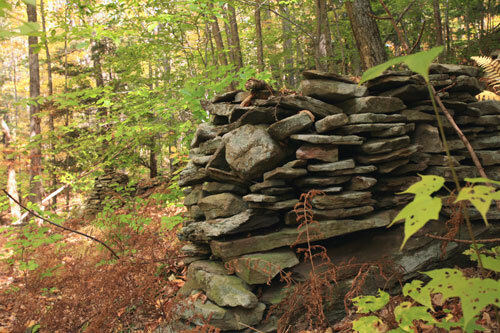 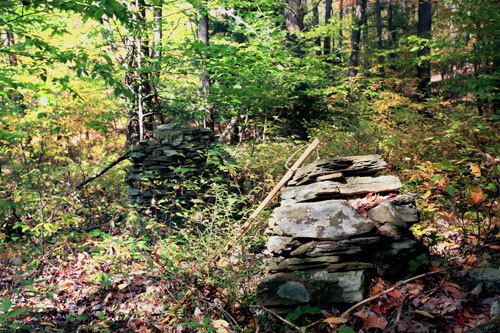 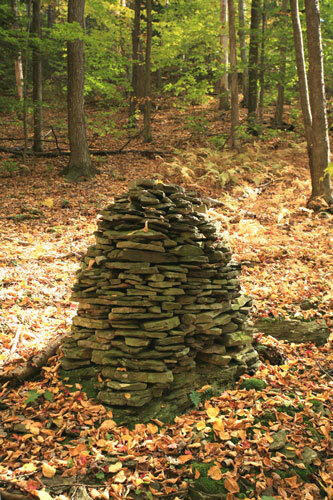 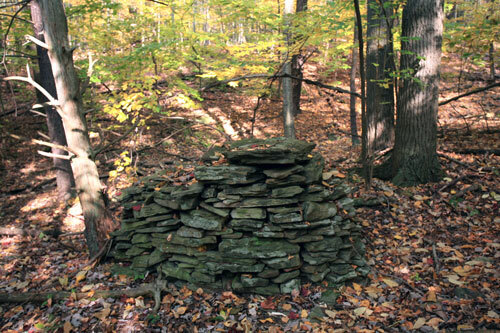 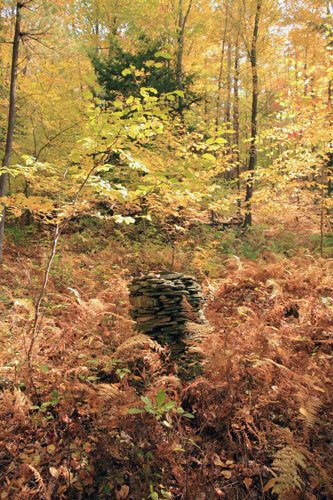 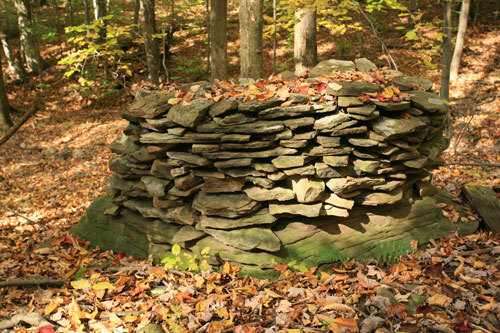 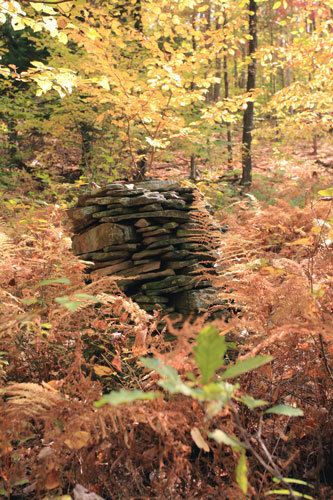 Such is the case with the Susquehanna County cairns found on a remote wooded hillside far from any open fields or roads in northern Pennsylvania. 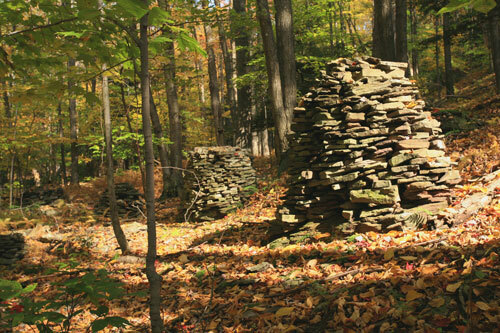 Who built them and why? 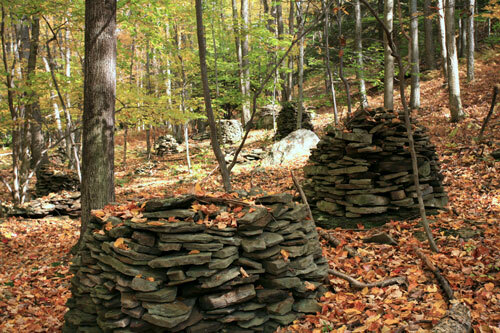 Were they made by native Americans in an attempt to clear their planting fields of rocks? 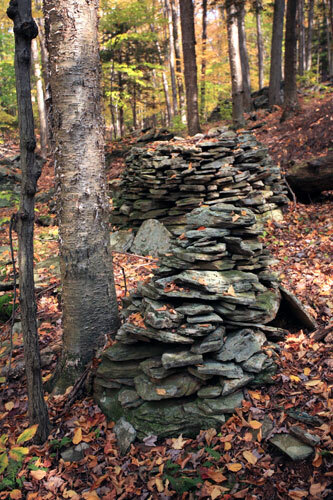 But if so, why would they go through such a great effort to stack them so meticulously that they would be able to withstand centuries of weathering? 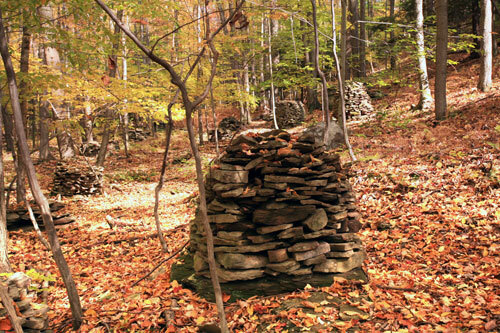 Why were some built like giant beehives while others are pyramidal or cone-shaped? 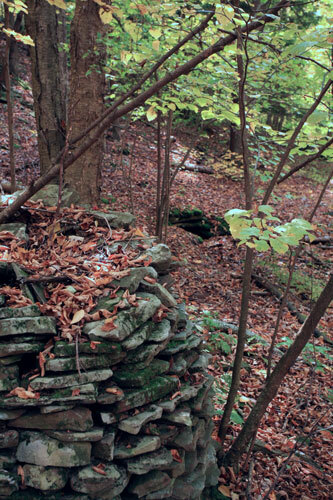 Data recovery reveals few answers to this mystery, so I'll let the viewer of these photographs have fun coming to their own conclusions.